Women Cancer Survivors: Get Pampered! Posted on October 17, 2018 | Comments Off on Women Cancer Survivors: Get Pampered! Westporters who have battled cancer are lucky to have the support of friends and family. Now they’ve got local businesses behind them too. Upper Deck Fitness and National Hall are sponsoring a special Women’s Wellness and Survivor Day next Saturday (October 20, 9:30 a.m.). The event honors the strength of women who have overcome cancer, by treating them (and their friends and families) to a morning of nourishment. Participants will enjoy a gentle outdoor workout on the Saugatuck River, followed by a communal brunch courtesy of Bartaco, OKO, Winfield Deli, Amis Trattoria, New Wave Seafood and Rye Ridge Deli. Pampering is provided by Whip Salon, Beautycounter and the massage therapists of Upper Deck Fitness. Lululemon, Athleta and others are contributing raffle prizes. National Hall and Upper Deck Fitness. Guest speakers include Maureen Lutz, who has written about surviving breast cancer and founded the non-profit Necessities Bags, and Upper Deck CEO Suzanne Vita Palazzo, who founded the Badass and Beautiful blog. The event is free, but RSVPs are requested. Email spalazzo@upperdeckfitness.com. Questions? Call 203-309-6231. Comments Off on Women Cancer Survivors: Get Pampered! Parking is at a premium near National Hall. Of the few spots, many are reserved by tenants in that building, and adjacent ones. So it’s not as if this driver is taking up a space that’s available to us normal Westporters. He’s just taking it from a co-worker. 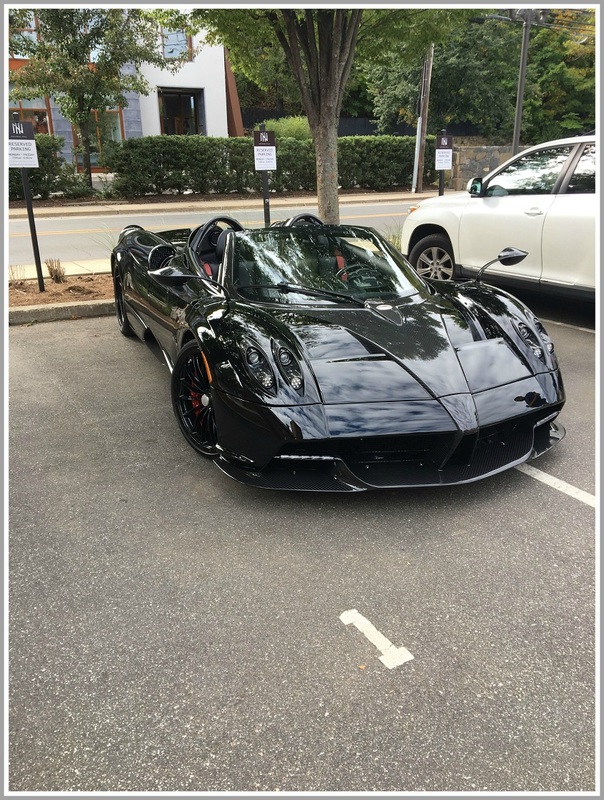 Or — more likely, since Paganis start at $1.4 million — an employee. PS: Let’s hope the owner checked the weather forecast before heading in to work. Westporters have watched with interest as renovations begin on 1 Wilton Road. That’s the quaint little building squatting underneath the massive Wright Street office project. Today it’s one of the many frustrating reasons for back-ups at the Post Road West/Riverside Avenue intersection. Plans to move the building to create a turning lane have been rejected (perhaps to rise again, in the future). 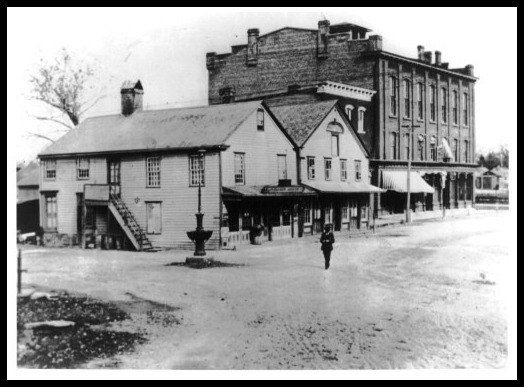 Once upon a time, that section of town was less chaotic. Back in the day, a man could stroll down the middle of State Street — past a still-familiar streetscape that includes National Hall (now The ‘Port restaurant). But I’m sure turn-of-the-20th-century Westporters found plenty to complain about. Look at that mud! Those rocks, and the wagon ruts! And I know some folks thought that watering trough didn’t need to be smack in the center of the road. Arrivederci, Vespa. Welcome, The ‘Port. In its 2 1/2 years in Westport, Vespa earned the loyalty of many customers. Unfortunately, they came almost entirely on Friday and Saturday nights. 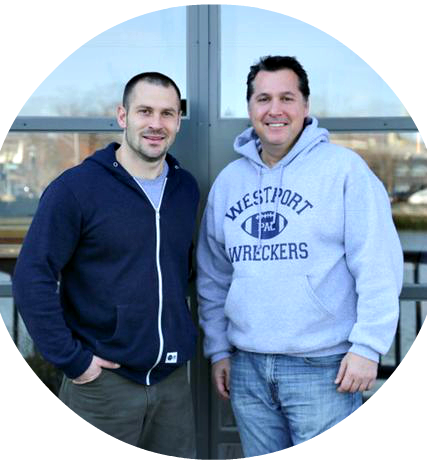 Owner Bobby Werhane thought there was a demand for “a New York style, modern rustic restaurant” in that location. The Inn at National Hall. Vespa most recently occupied the ground floor. One of the things he enjoyed most about Vespa was establishing strong relationships with guests. One was Sal Augeri. 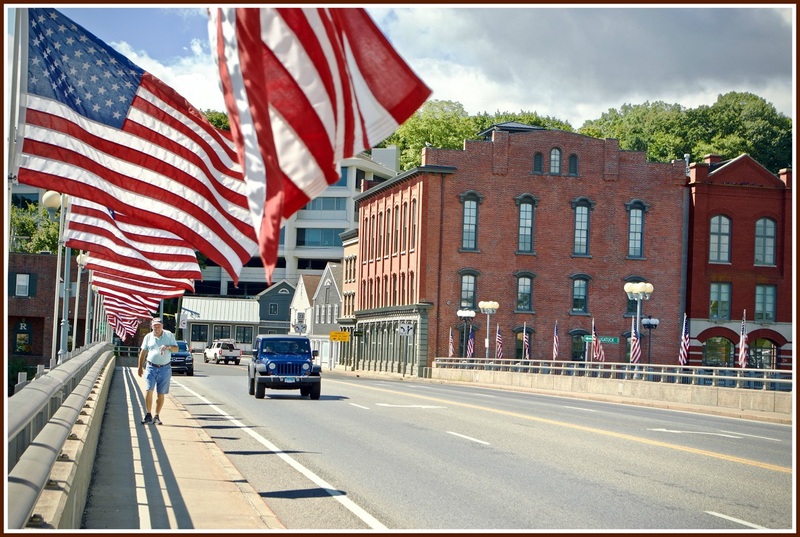 The ‘Port — our town’s sometime nickname — hopes to convey a real Westport vibe. Vespa’s white walls and beautiful surfaces will remain; some banquettes and communal spaces will be added, and “Westport stuff” put on the walls. Soon, the owners hope, the iconic building will be filled with people, 7 days a week. “Owners” is exactly the right word. 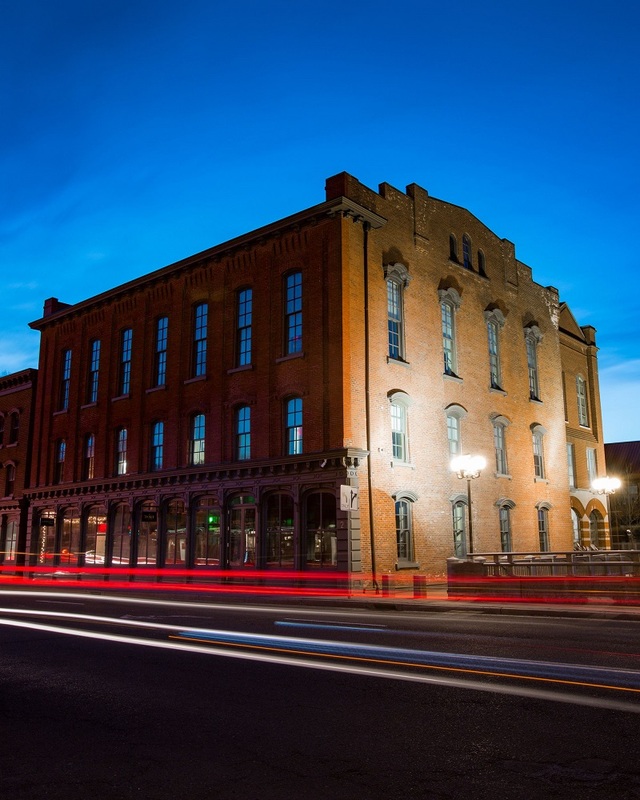 Augeri’s company — SMA Hospitality — is the majority owner and operating partner. Twenty-three investors have joined the 10 original Vespa backers. That’s 33 families, all with young kids and town ties. 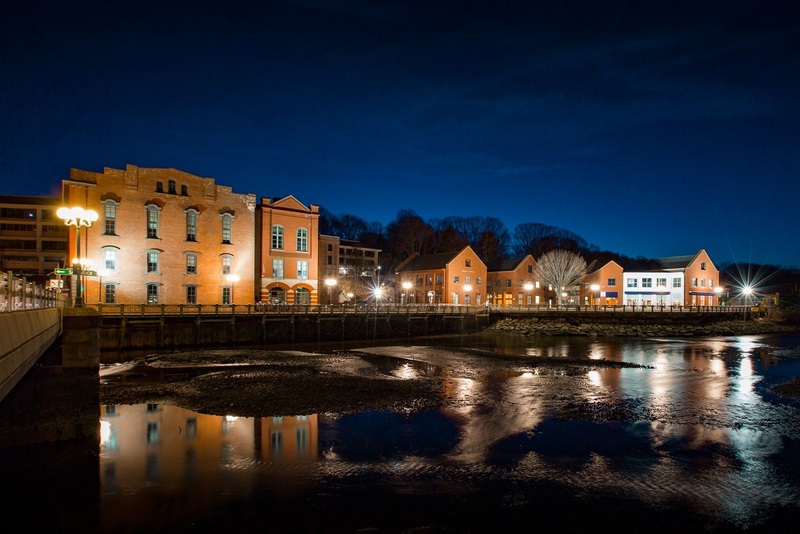 Local designers Alli DiVincenzo and Michele Cosentino teamed up with Westport architect Lucien Vita of the Vita Design Group to brand and design the interior of The ‘Port. The ‘Port will be “family friendly.” Augeri says that means “simple, basic, good food that people want”: an excellent burger. The “Port Club” signature chicken sandwich. Fish, pastas, fresh salads, great wings. Milk and fresh lemonade for children — drinks that are healthier than most restaurants’ sodas and juice boxes. Dessert includes homemade brownies and Chipwiches. “I don’t need tiramisu,” Augeri laughs. Chef Justin Kaplan last worked in Lake Tahoe. This will be the 7th restaurant he’s opened. “Family friendly” means the owners hope The ‘Port will be the place that Staples Players and middle school actors go to celebrate after shows. What about the diner — the current favorite spot? “We’ll do special events for the cast,” Augeri promises. The projected opening date is a month from now. See you at The ‘Port. Wednesday’s fatal accident between I-95 exits 18 and 17 closed the southbound highway for nearly 12 hours. From 7 p.m. until 7 a.m. Thursday, vehicles crawled through Westport. It took almost an hour to get from the Sherwood Island Connector, down the Post Road and out Riverside Avenue. Fortunately, it was nighttime. But that meant there were tons of trucks. Traffic was stop-and-go — mostly stop — all night long. That was the scene nearly every day in the 1950s, until I-95 — then called the Connecticut Turnpike — opened. The Post Road was the only way for trucks to get from New York to Boston. Newcomers have no idea how bad the traffic was. Oldtimers barely remember. This week’s Friday Flashback shows a typical scene. It doesn’t look too bad — but it was. 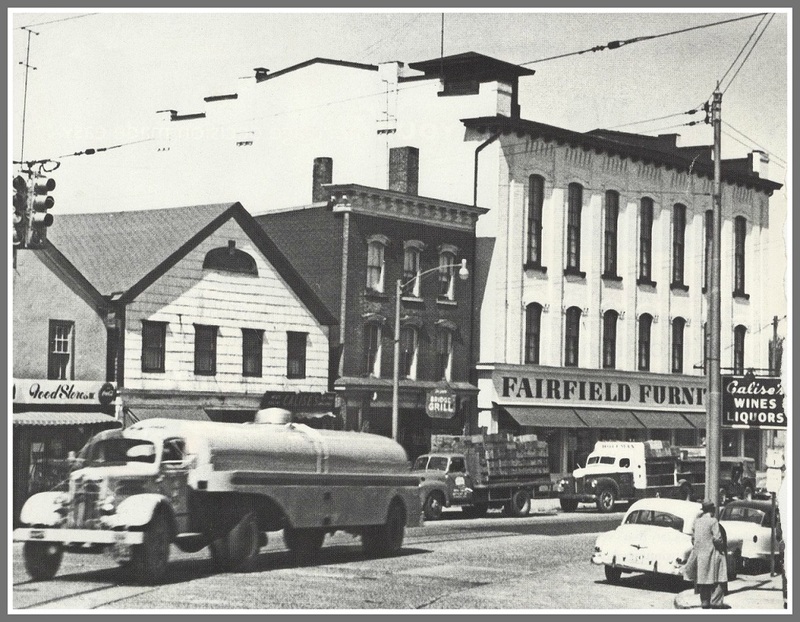 Today the Fairfield Furniture Store is National Hall, with its 1st-floor Vespa restaurant. The Food Mart and Calise’s Wine & Liquors are gone. So — truly unfortunately — is Ye Olde Bridge Grille, one of Westport’s best dive bars. The intersection of the Post Road, Wilton Road and Riverside Avenue is still bad. But can you imagine what it would be like without I-95, the highway we love to hate? A crane towers over Main Street. The old Tudor YMCA is being gutted. Concrete is poured near Church Lane and Elm Street. But even as Westporters await the completion of Bedford Square — David Waldman’s project that will redefine downtown — he’s moving forward on his next project. Waldman is a partner in the development group that owns the former Save the Children site across the river. Right now, a 60,000-square foot building blocks views from Wilton Road. A few yards away, the brutal Post Road/Riverside Avenue intersection makes that west bank neighborhood a don’t-go-there-unless-you-have-to afterthought to downtown shoppers. Waldman wants to change all that. He hopes to build an office building and 18 high-end condos on the 2.6-acre site. He’ll extend the boardwalk from National Hall and Bartaco all the way to the end of his property. 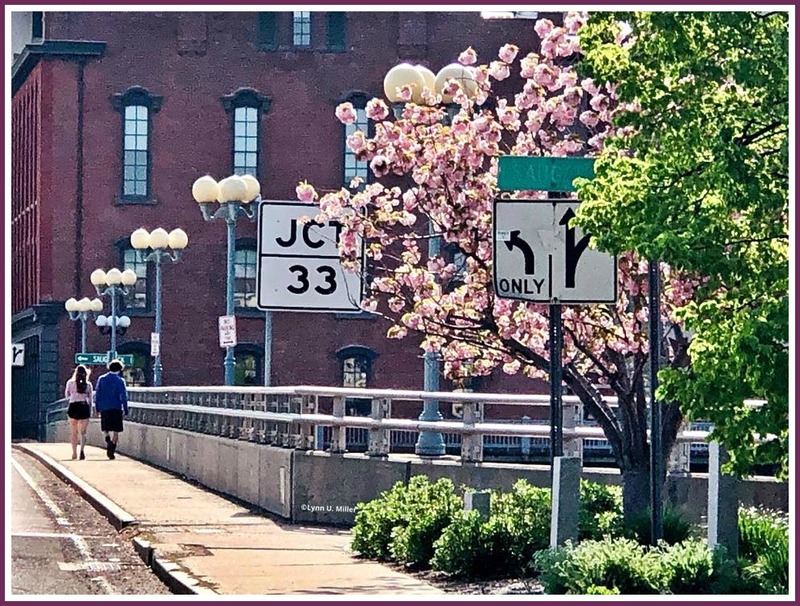 He’ll help the town and other interested parties build a pedestrian bridge, linking his development with Parker Harding Plaza or Gorham Island. Most importantly, he’ll move the charming, old (and very much in-the-way) needle shop house from 1 Wilton Road, to his new project. That will allow construction of a left-turn lane onto the Post Road, easing congestion at one of the worst intersections in the state. Plans have not been presented formally. But discussions are beginning with important town bodies, like the Planning and Zoning Commission. Waldman is very familiar with the property, and the land around it. 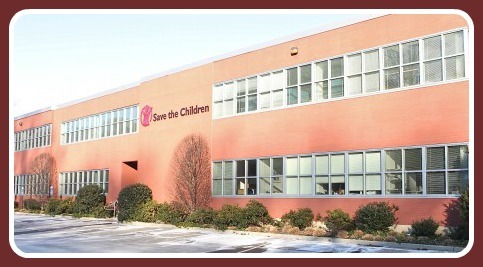 Compass Commons — across the street from Save the Children — was developed by his father in 1982. Though Waldman knows the Save the Children site is in a flood zone — and is well aware of the traffic woes — he’s excited by its potential. It’s one of the last remaining developable sites downtown. The native Westporter thrives on challenges like these. The former Save the Children’s Wilton Road headquarters. The 60,000-square foot building now stands empty. He and his partners worked for over a year on the concept. It includes residential units, because they’re called for in the downtown plan. 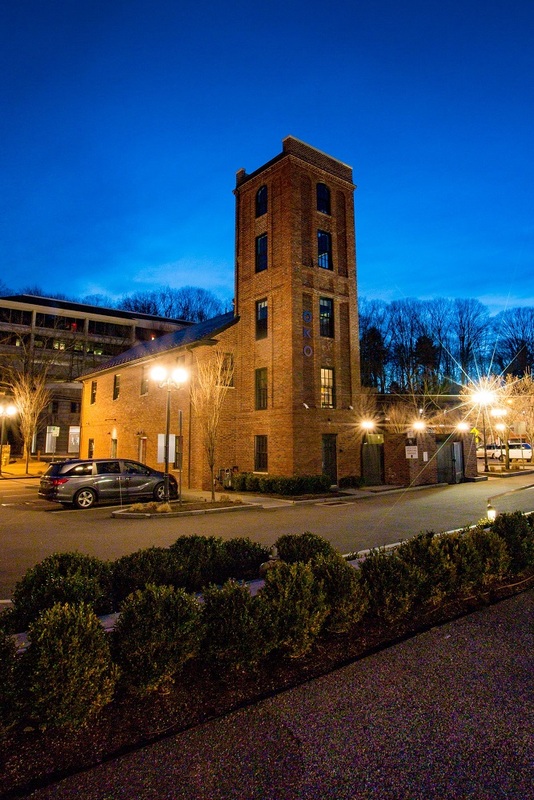 Waldman knows there are many empty nesters in Westport looking to downsize, but stay here. Nationwide, older homeowners are relocating closer to downtown areas. “I tried to hit all the buttons: what the town wants, how to incorporate visual access to the river, and get parking off the river,” Waldman says. He notes that Save the Children at one point had 250 employees, but only 180 parking spaces. His plan will help add parking for restaurants like Bartaco and Vespa. 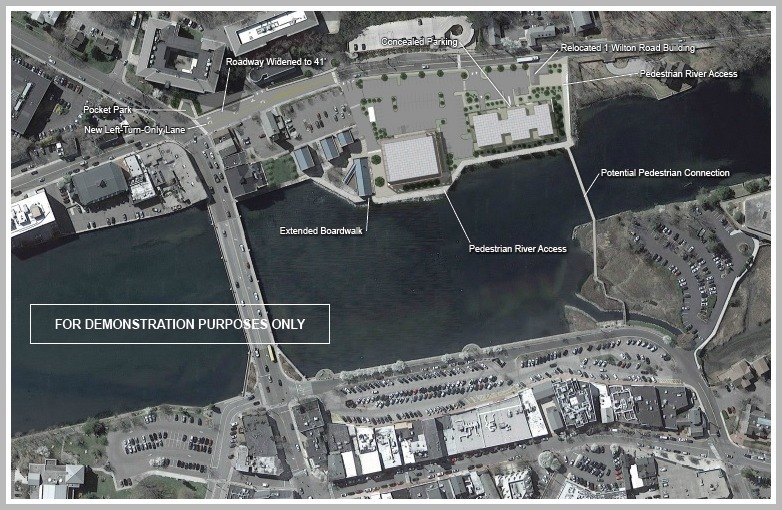 Eight spots will be available for public access to the water. Waldman is particularly excited by the opportunity to redesign the brutal Post Road/Wilton Road/Riverside Avenue intersection. He has an option on the house that right now huddles underneath the Wright Street building. He hopes to give that land to the town. 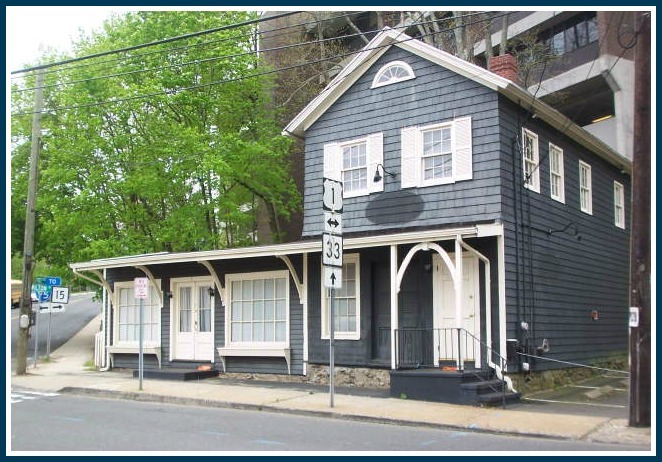 Right now, this cute building at 1 Wilton Road inhibits traffic turning in 2 directions, or going straight. It won’t be easy — or cheap. Waldman estimates the cost of moving the house at $2.5 million. But he relocated Kemper Gunn from Bedford Square across Elm Street. He understands the value of both preservation and change. He’d need a text amendment to increase the allowable height of his residential building to 48 feet. That would allow underground parking. According to Waldman, it would still be lower than the top of National Hall. An artist’s rendering of the proposed new office building (right-center) and condos (right) on the former Save the Children property, as seen from Parker Harding Plaza. The Post Road bridge and National Hall are on left; Bartaco is in the middle. 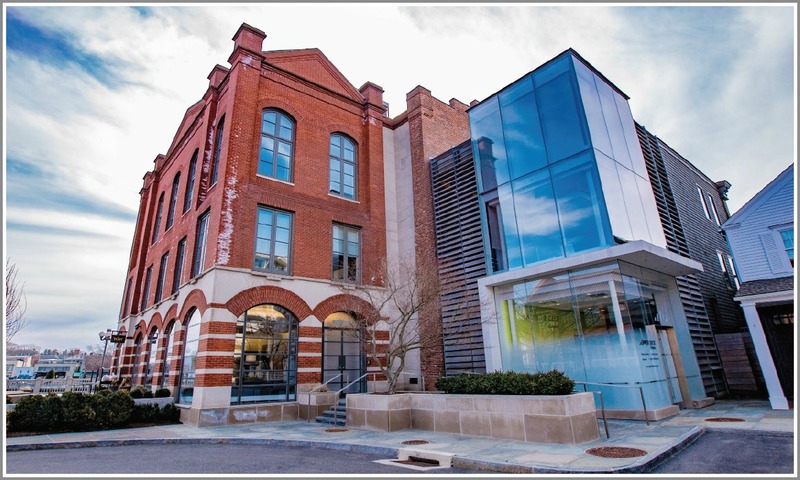 In the early 1990s, the Tauck family breathed new life into that old building. A century earlier, National Hall was one of Westport’s central meeting places. 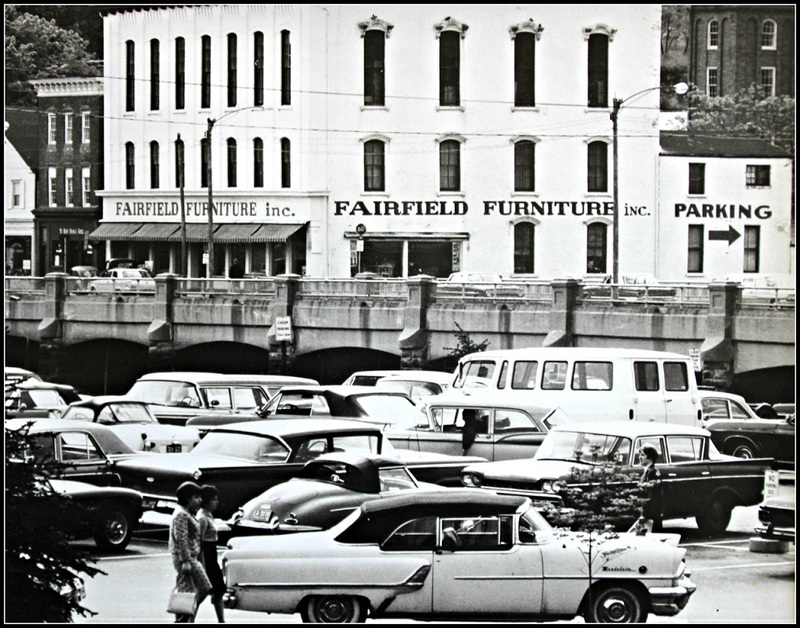 After Fairfield Furniture’s long run, it stood abandoned and in danger of collapse. Today it’s beautiful, and functional. The old Vigilant Firehouse is now home to Neat. Bartaco recently infused more new energy into that area. David Waldman stands poised to do the same. 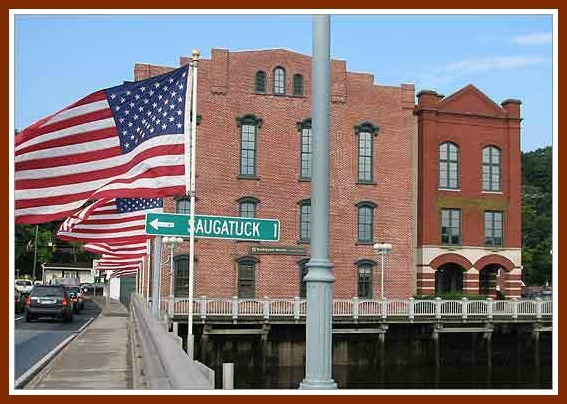 With Save the Children gone, it’s time to Save the West Bank of the Saugatuck.